Provide comfort for the family of Gail McEldowney with a meaningful gesture of sympathy. 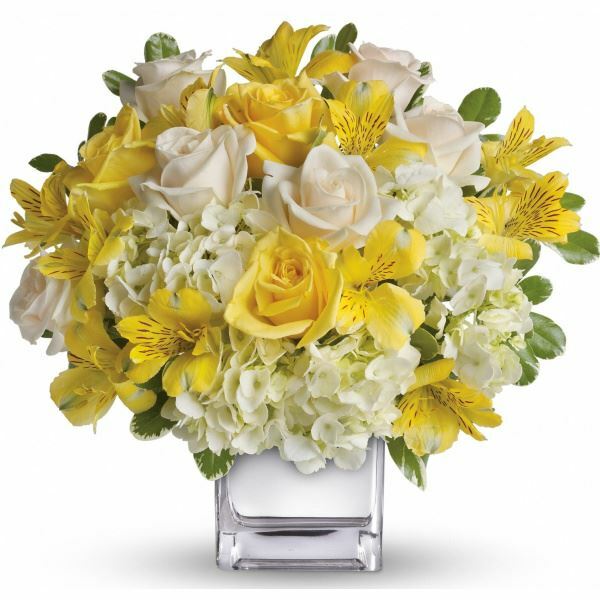 To send flowers in memory of Gail Ann McEldowney (Backofen), please visit our Heartfelt Sympathies Store. Susan sent flowers to the family of Gail Ann McEldowney (Backofen). Susan purchased flowers for the family of Gail McEldowney. It was a privilege being Gail's doctor for many years until I retired 6 years ago. My wife Jean and I wish to express our heartfelt condolences to her loving husband Elliott, family and friends. Such a kind, genial person will be truly missed. We knew Gail back in the days of Mac's Cards. She was knowledgeable, fair and a good businesswoman. So sorry to hear of her passing at such a young age. We have her by 3 years with Scott in long-term-care in Wallingford. Our prayers go out to Elliott and the boys. May God Bless you all.